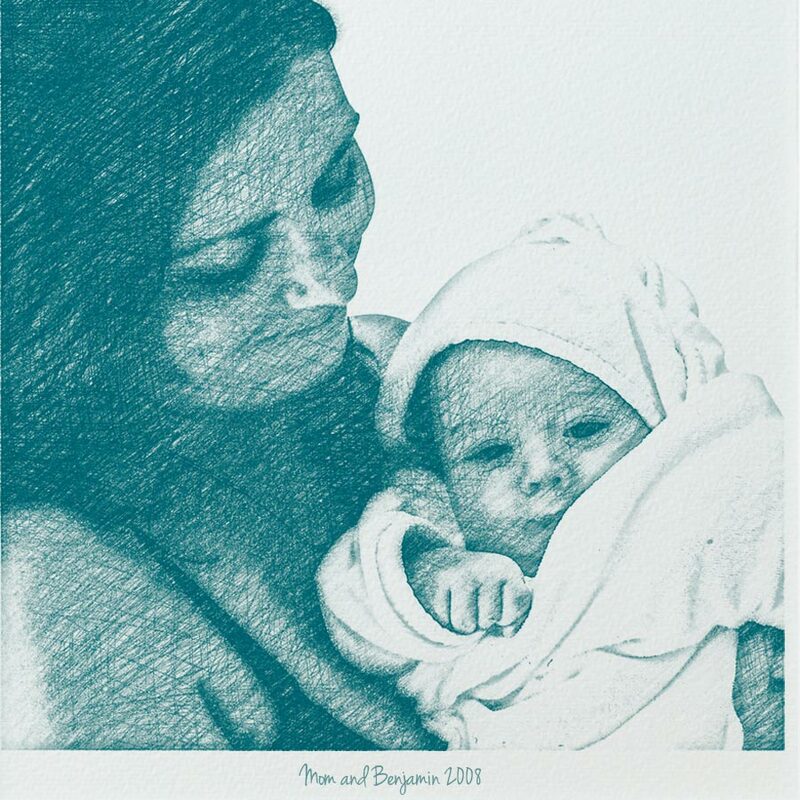 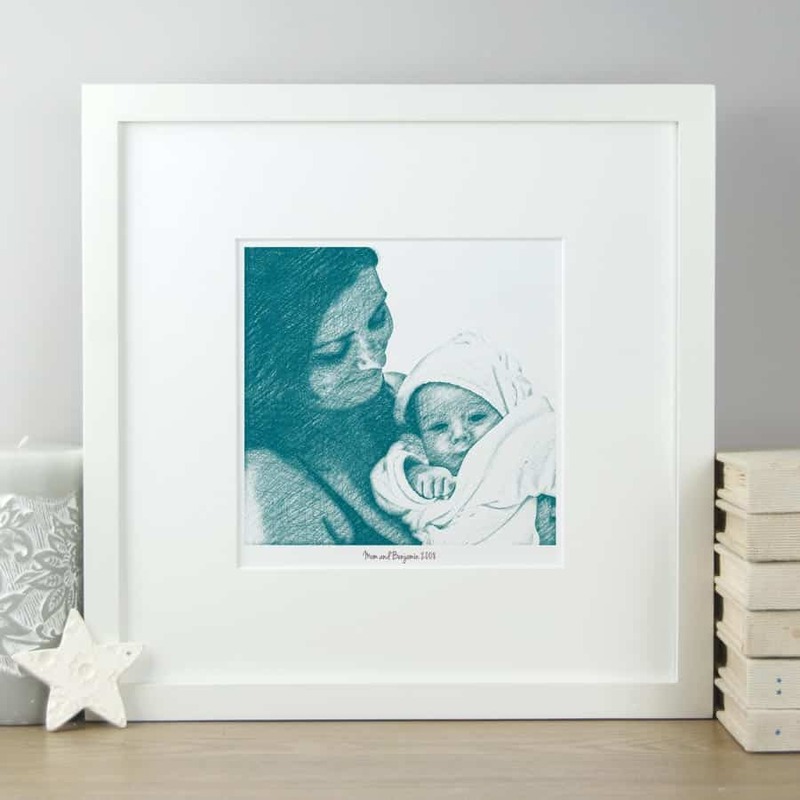 A beautiful coloured pencil style Mom and child illustration from your favourite photograph. Giclee printed on 300gm acid free off-white Artists watercolour paper and comes with an off-white mount. Frame also available (+€25).